Feeling Run Down? Boost Your Immune System this Fall and Winter with Herbal Zap! Cold and flu season is upon us. Along with getting a flu shot there are other ways you can boost your immune system to prevent from getting sick. Herbal Zap is an instantly-dissolving, herbal supplement beverage based on the ancient Indian science of Ayurvda; a natural health system that focuses on healthy living as well as therapeutic measures that cultivate physical, mental, social, spiritual and environmental harmony. 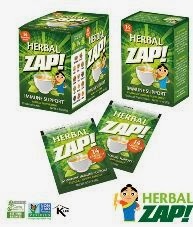 Herbal Zap comes in a box with 10 individual packets. Each packet contains 14 ayurvedic herbs; Shankhapushpi, Liquorice, Ginger, Bhargi, Ajowan, Kulanjana, Vasaka, Long pepper, Cumin, Parpataka, Corander, Black Pepper, Kandakari and Kaliyaka. The packets dissolve very easily in hot water. However, I found the ginger flavor overpowering. I was only able to sip this beverage very slowly. 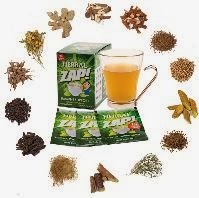 If you like ginger then you will like the taste of Herbal Zap. The package suggests that you dissolve 1-2 packets of Herbal Zap into 6 oz of hot water and stir. You can drink up to 4 cups a day and it is safe for children 3 and up. Herbal Zap is best used at the first signs of feeling run down. Just pour a packet into a mug, add steaming hot water, stir, drink, and allow the effects to take hold. *Disclosure: I received a box of Herbal Zap in exchange for this review. All opinions are accurate and 100% mine. Ms. Talbert runs the Healthy Moms Social Network on Ning, is the founder of Healthy Moms Media, and is the Chief Marketing Officer for Talbert Nutrition LLC. 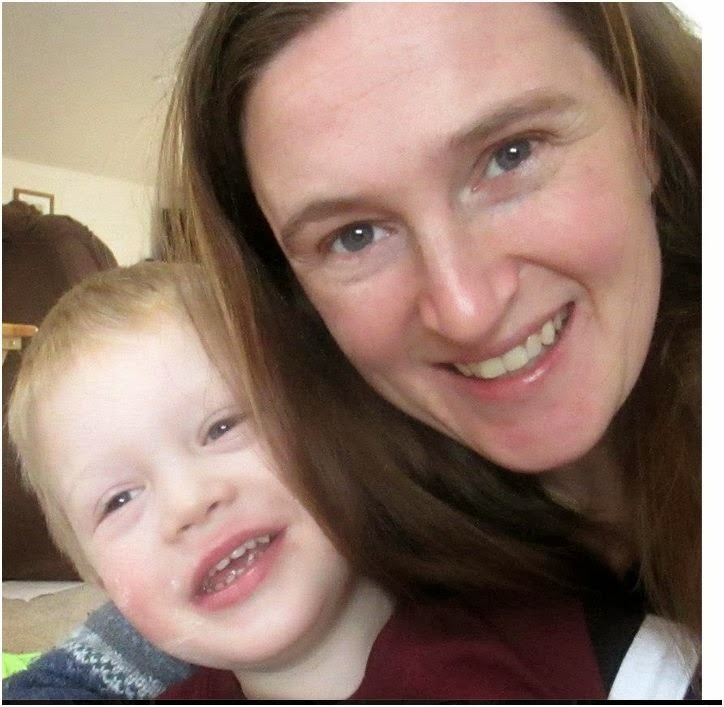 You can follow her on Google+, facebook.com/TheHealthyMomsMag, and twitter.com/cltalbert.